Our client with 3 locations in the middle of the Netherlands is a key player in developing and building of food machinery for the international market. They are part of a global company and worldwide strategy. 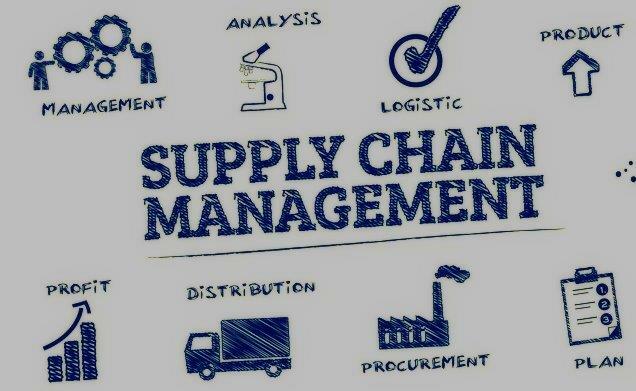 The supply Chain Manager is responsible for overseeing and managing the company’s overall supply chain, logistics, warehousing and outsourcing strategy in order to maximize the process efficiency and productivity. Has an actively contribution in OTD of projects and driving down costs. Actively shows the sense of ownership and pride in performance and its impact on company’s success. The Supply Chain Manager is responsible for driving down material costs on projects and actively driving down module outsourcing costs and overall materials costs to the target set for the year. Managing a global supply base, including low cost regions such as Eastern Europe and China. Has a crucial role in developing and maintaining good relationships with vendors and distributors as well as setting contracts and NDA agreements with suppliers and other 3rd parties for projects and service business unit. Devise and deploy appropriate supply chain strategies to maximize opportunities for cost reduction, supply chain performance and product innovation. Identify and establish long-term relationships with suppliers located within low-cost regions to drive optimised cost and supply position, including the establishment of ‘second source’ suppliers for key strategic commodities/modules. Determine key supply chain KPI’s. Maintains an understanding of technology trends, market forces, cost trends and supply technology road maps. Develops, leads and improves a material and inventory management system. Monitors and assesses current supplier quality and OTD performance to identify and assess opportunities for performance and process improvements. Monitors existing and new supply chain processes for improvement opportunities in safety, quality, delivery, and cost through lean problem solving methodology and Kaizens. Proactively leads root cause/counter-measure resolution as a trained PSP (Problem Solving Process) facilitator. Leads cost saving initiatives such as freight savings. Supports VAVE efforts as well. Supports overall business strategy through the alignment of department objectives, tracking of monthly KPIs and utilization of daily management / visual management tools. Within above mentioned perspectives this profile is not static but can be adapted as a result of further developments. Expert NEVI 2 and or Contract and supplier management by NEVI. Procurement management program by NEVI. Minimum of 8 years of relevant experience in Supply Chain Management, Procurement Management or Operations Management, with a minimum of 3 years of direct management experience in one of the above disciplines. Candidate must be a self-starter with a high sense of urgency and the ability complete tasks in the time frame committed. Strong analytical skills and applied knowledge of problem solving; Must be able to analyze and resolve complex problems and work cross functionally when doing so. Ability to influence others and lead change management processes. Superior and demonstrated leadership, team building, communication, presentation, interpersonal, and coaching skills. Familiarity with Lean Manufacturing principles is a plus. Understanding Engineering protocols and certifications. Knowledge of different manufacturing techniques and practices. Experience working in a global, multicultural environment with multiple stakeholders in a collaborative manner. Lean manufacturing experience required. Experience with value stream mapping, 5S, statistics based problem solving, visual management and standard work required. Proven strategic negotiation skills specific to achieving favorable prices, services and long term agreements. Proficiency with Trimergo and personal computer applications, required (MS Excel, MS Word, MS Project and Power Point). Ability to communicate in a professional and empathetic manner when dealing with internal and external customers. Demonstrated ability to facilitate change, work effectively and drive for results in a fast paced and changing environment with multiple priorities. I agree that my data will be stored in the applicant database of PPM Select. We will keep this data for a maximum of 1 year, after which we will ask you for permission again. You can have your data changed or removed at any time. You can use the contact form for this. If we reject your candidacy, do not invite you for a job interview or do not hire you, your data will automatically be deleted after 4 weeks. Your data will not be made available to third parties, unless indicated otherwise and will only be used for your application. Your data is stored on secure servers in the Netherlands. PPM Select is gespecialiseerd in de invulling van C-level, Management & Senior Engineering posities. We krijgen deze vacatures graag in opdracht via onze Executive Search dienstverlening. Wij zijn volledig actief in de techniek & industrie en specialist in de segmenten Machinebouw, Offshore, Scheepsbouw en Industrie. Met ons ervaren team maken we het verschil door vacatures binnen korte termijn met het gewenste profiel in te vullen. Heeft u een interim manager nodig vanwege ziekte, drukte of een specifiek project? Ook daarvoor kunt u ons benaderen! Vanuit ons kantoor in Krimpen a/d IJssel werken we landelijk.